During my solo travel in Jammu and Kashmir, a budget-friendly stay in a houseboat on Dal Lake was one of the unique experiences. 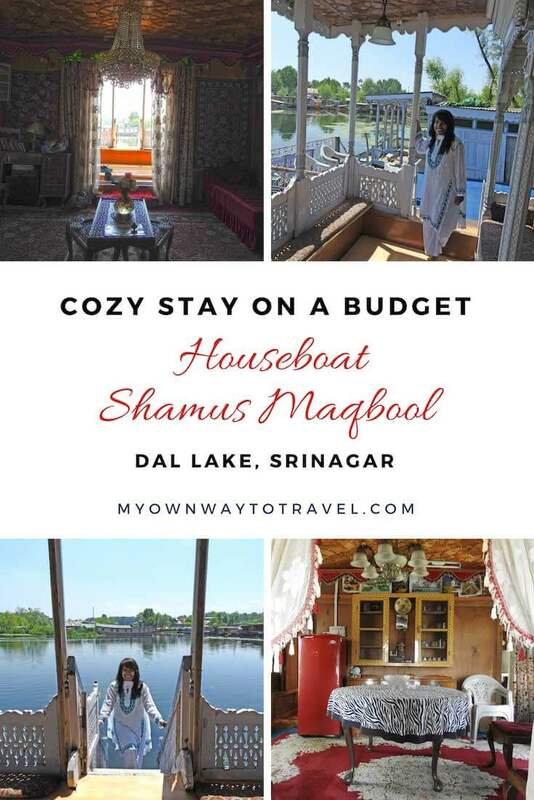 It was safe and comfortable staying two nights at a traditional Shamus Maqbool Houseboat in Srinagar. 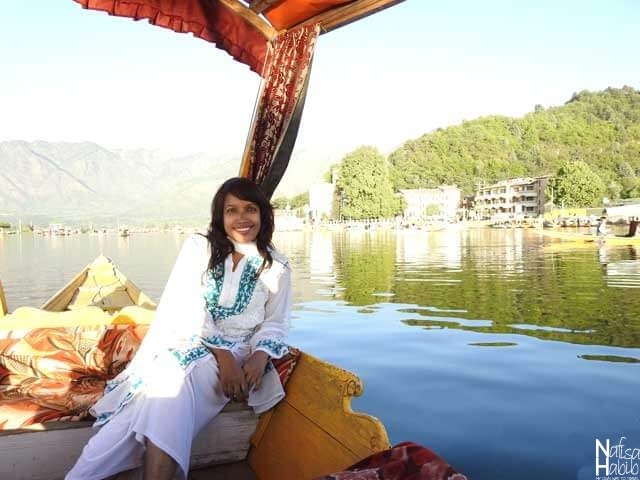 It gave me the chance to know better the local lifestyle on Dal Lake and houseboat life. Moreover, I got more time to explore all top things while cruising around on the Dal Lake by shikara or Kashmiri boat. 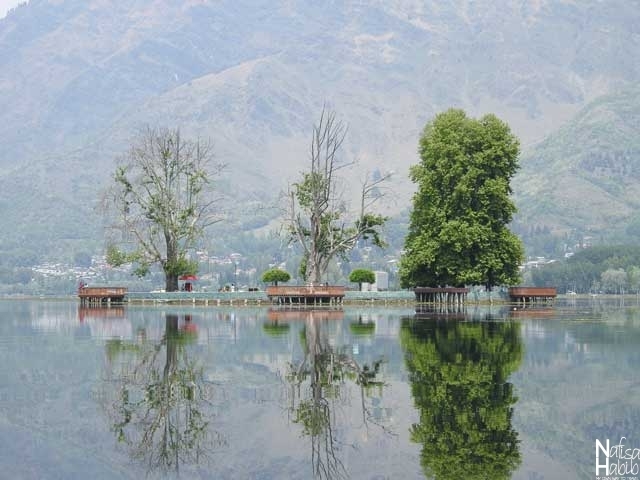 The stunning Dal Lake is the top attractions in Srinagar, India. Many luxury hotels are also located nearby this lake. However, to enjoy a scenic journey to Srinagar Dal Lake at least one night stay in a floating houseboat will give you a relaxing holiday and slow travel experiences. 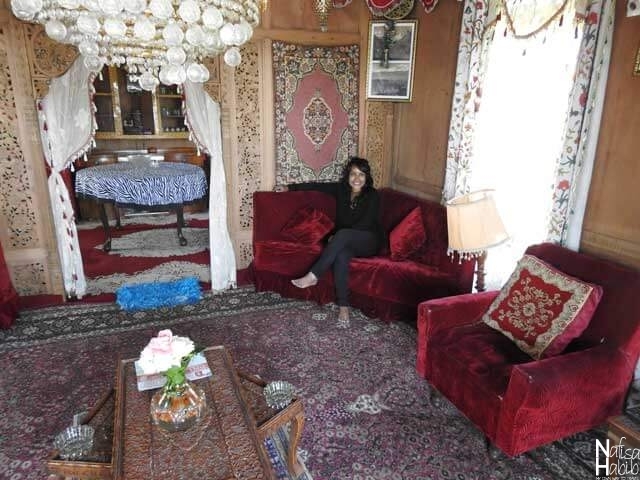 I was surprised to see the Srinagar houseboat rates even in a high season. It is super inexpensive. You’ll love the touch of royalty, and the hospitality is remarkable. Moreover, it is all possible on a budget. In between the month of March and May, the temperature is moderate, not excessive cold in Srinagar. This is the best time to visit Dal Lake and for staying in any houseboats. Dal Lake on Boulevard road is 9 km away from Srinagar and easily reachable by taxi, public city bus. According to the gate or ghat number you’ve to take a shikara to reach your pre-booked houseboat. Many houseboats also provide free airport shuttle services. 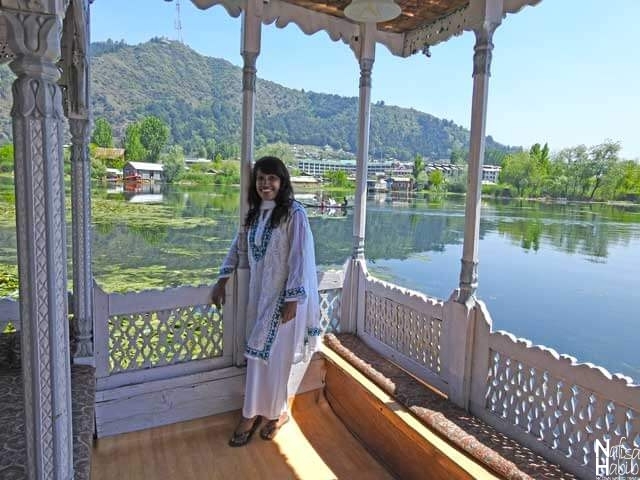 1 How is it to Stay in a Houseboat on Dal Lake in Srinagar? 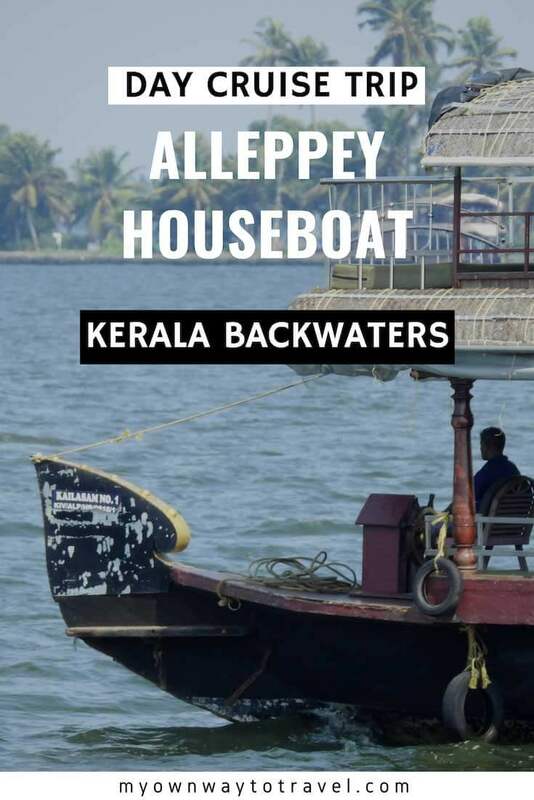 3 Alleppey Houseboat or Dal Lake Houseboat? How is it to Stay in a Houseboat on Dal Lake in Srinagar? 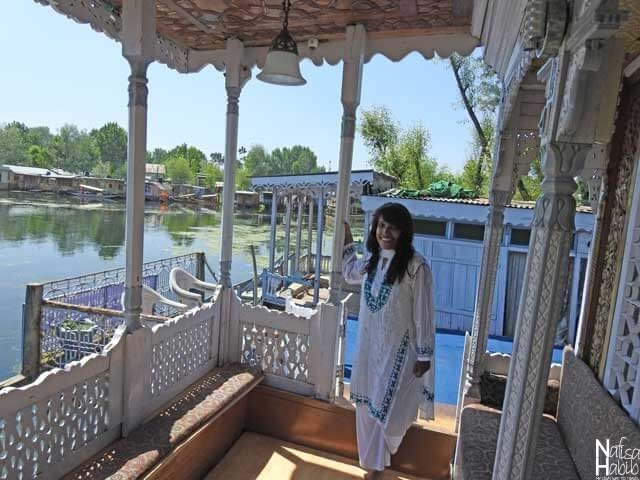 Beautiful houseboats on Dal Lake are not less than any luxury hotels. In a real sense, they are floating palaces of Srinagar. Traditional deluxe to budget houseboats permanently anchored on Dal Lake. Dal Lake houseboats are all fixed and don’t move like Alleppey houseboats. Every houseboat has a small boat or shikara for guests transportation. You can anytime take a boat ride to explore around on Dal while staying in a houseboat. Remember, mostly budget houseboats are located a bit inside of the lake, and deluxe houseboats are all in the front side of the lake, very close to the Boulevard road. 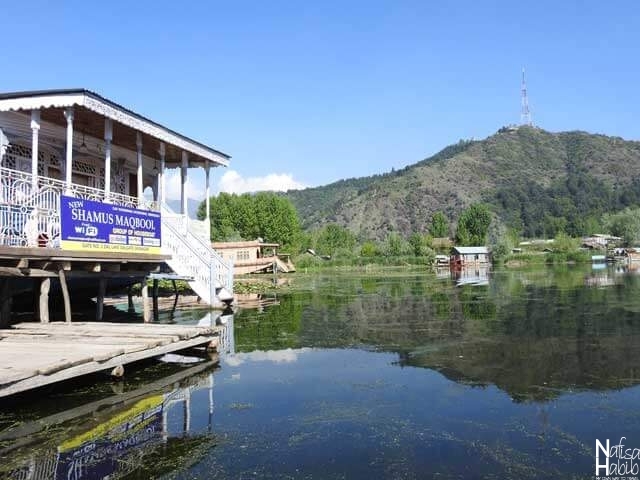 Shamus Maqbool Houseboat is just 16 km away from Srinagar airport and located in gate number 1. They have the airport shuttle service and free parking for their guests. The breakfast and Wi-Fi are complimentary. Many local markets and restaurants, Pari Mahal, Nehru Park, are very close to the houseboat. The Shamus Maqbool Houseboat check-in started from 12:00 AM and check-out at 10 AM. This houseboat has three living rooms, and every room is large enough and perfect for a family stay with private bathrooms. The room types are a double room with private bathroom, budget double room and family cabin on boat. 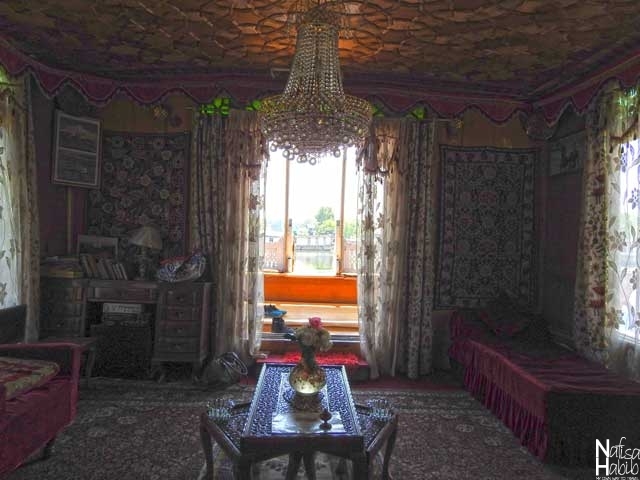 The attached dining and sitting area are common for all and nicely decorated and well-furnished in a Kashmiri style. There is also one balcony with the lake view. It’s almost like staying in a house but on water. Kitchen-boat is there for the housekeeper to stay. 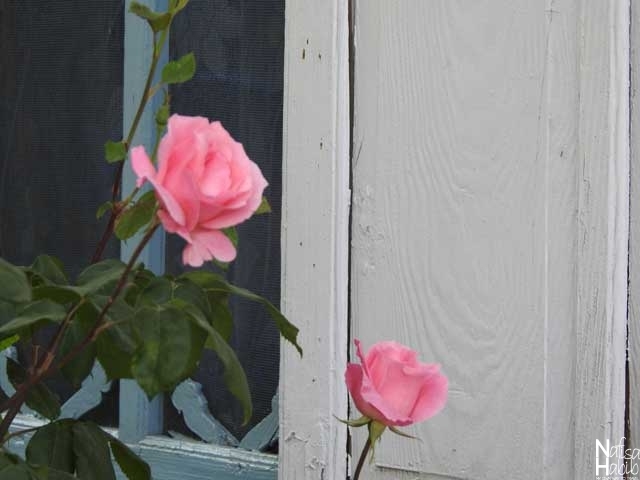 The housekeeper usually takes care of the houseboat and also guests. The houseboat owner also does visit and sometimes stay with family for some days. 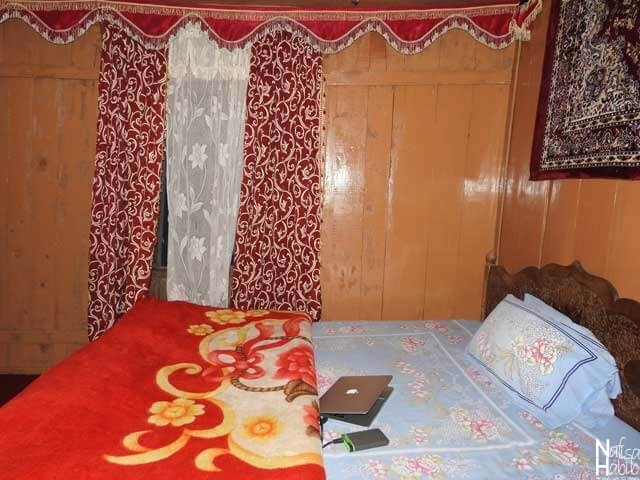 I stayed alone and safely at Shamus Maqbool Houseboat on a budget. 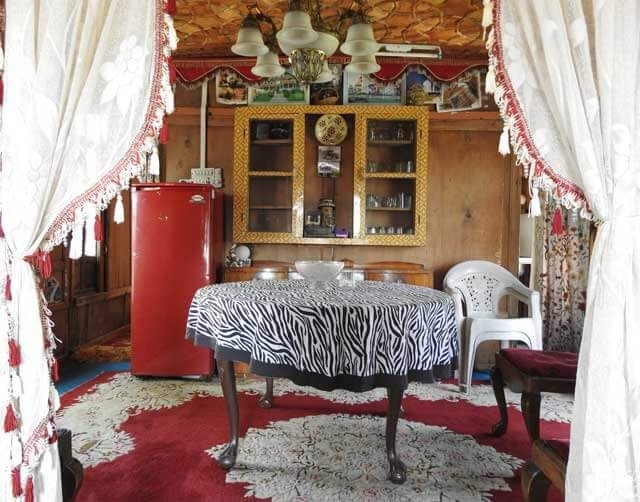 I liked the hospitality, the traditional interior and the wood carving of the houseboat. The entire houseboat was tidy and clean. The houseboat keeper and owner both were helpful and cooperative, and the service was excellent. It just cost me 42 USD including breakfast and dinner for two nights. I paid extra for arranging two days shikara ride and fantastic cruise trip along Dal Lake. The room type was the double comfort one with a private bathroom. It had all standard amenities and TV as well. There was no AC and had two cozy beds for four persons. It is also possible to enjoy the Dal view from the room windows. The food was served from the houseboat Shamus Maqbool kitchen and cooked by the housekeeper. You can order food according to your choice. Kashmiri food is good for non-veg lovers. The plain rice with lamb meat is the most common local dish. 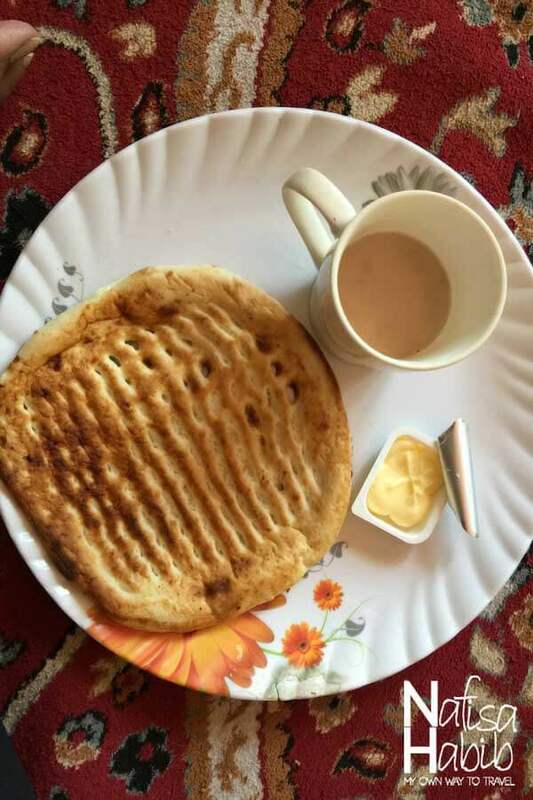 I had fresh Dal Lake fish curry with rice and vegetables for dinner and breakfast with Girda, a kind of Kashmiri Tandoori roti with butter, boiled egg and milk tea. The first day I had lunch with Kashmiri Wazwan for the first time from Kareema Restaurant in Srinagar. Next day with potato French fries and tasty carrot chutney from the mobile café on Dal Lake. 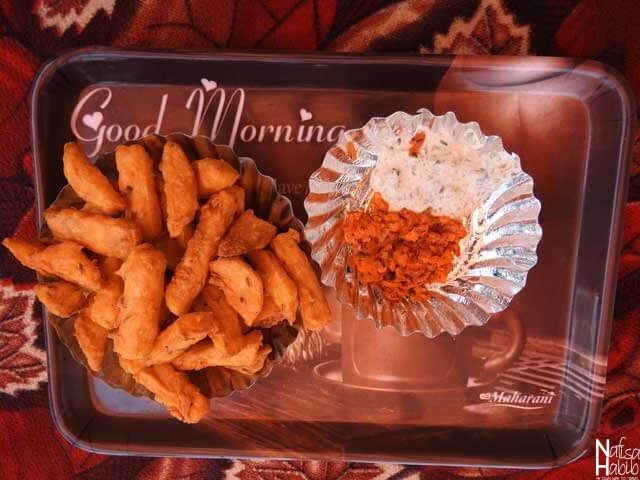 Yes, not a healthy diet at all but I liked the taste of Kashmiri pakodas and rotis. My last two days in Srinagar I kept for all houseboat and Dal Lake. It was fascinating to stay on the water and observe the mesmerizing beauty of Dal in every hour from dawn to dusk. Many top Srinagar attractions are also close to many houseboats. Many famous Mughal gardens, Nehru Park, floating markets are possible to explore by shikara. Undoubtedly, a shikara ride is the best way to enjoy the extreme beauty of Dal Lake. Also, almost all top Srinagar sightseeing attractions are possible to explore from Dal Lake by boat. I enjoyed watching the water reflection beauty of the mountains from the balcony of Shamus Maqbool Houseboat on Dal Lake. It was also nice to see many small boats and shikaras riding close to the houseboat on the pretty water of Dal. Even without going anywhere you’ll love your relax time while sitting in a balcony of the houseboat. I enjoyed chit-chats with the boat owner and was a great way to know a lot more about the local lifestyle. Many merchants from the boat do offer to buy many Kashmiri products from flower seed to jewelry, shawls, dry fruits, souvenirs. If you’ve no plan to visit any floating markets, you can shop even from the houseboat. 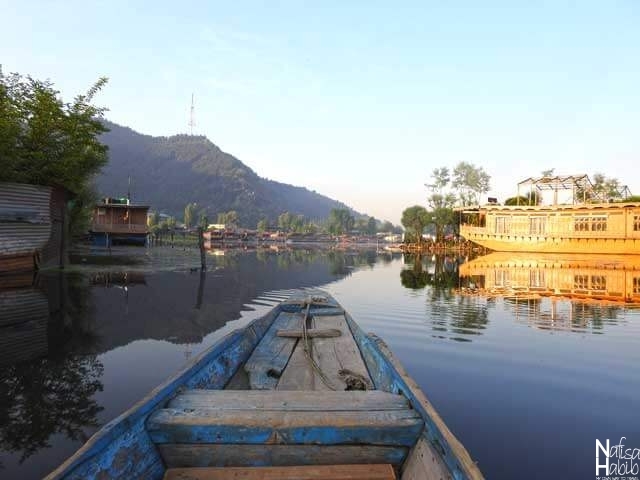 Two days completely I enjoyed riding on a boat and visiting some popular attractions like picturesque island Char Chinar, Kabutar Khana, the floating gardens of the four colored water lily, Nehru Park and Gulshan Books Kashmir. There is some sports cruise on Dal Lake, and water surfing was fun. I also enjoyed shopping from the Meena Bazar of Dal. Fishing is also a top recreation on Dal Lake and a source of income for many Kashmiris. Taking a small boat ride to the floating vegetable markets on Dal Lake was the most exciting things to do on Dal Lake in Srinagar. The beauty of the Dal Lake just before sunrise was amazing. It was right to stay in a houseboat and was possible to reach there so early morning. Locals sell their own produced organic vegetables on boats in the floating market. It is also possible to get flower shikara to take beautiful photos with many colorful flowers. When you’re in Dal you can’t keep your camera inside; you got to be all time ready to click a lot of the water reflections with the ranges of beautiful Zabarwan mountains. No way to refuse to admire the spectacular landscape beauty of the Dal Lake. Alleppey Houseboat or Dal Lake Houseboat? After staying in Alleppey and Dal Lake budget houseboats, I can say Alleppey houseboats are overrated and not for every traveler where anyone can afford even a luxury stay on Dal Lake houseboat. During offseason, I spent 95 USD per night for my budget houseboat cruise on Alleppey backwaters in Kerala. Alleppey houseboats rates are too high in a peak season, but Dal Lake houseboats are almost same, not overrated even in a peak season. 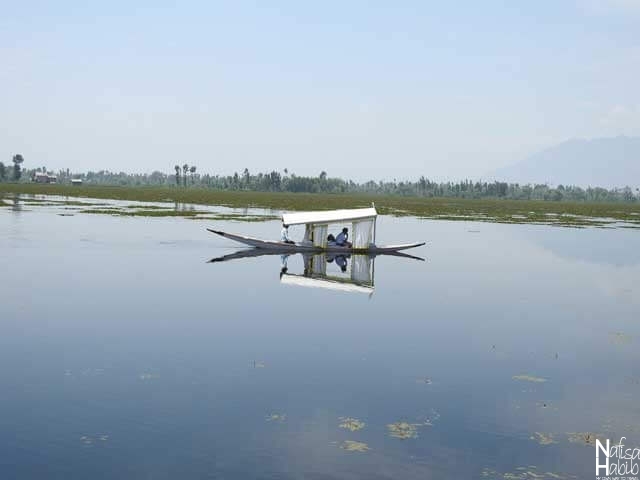 You can expect a deluxe houseboat stay on Dal Lake for two nights by spending average 100 USD. The Dal Lake houseboats decoration and interior is eye-catching, and you can’t expect that on a budget in Alleppey houseboats. The beauty of the largest Vembanad Lake is stunning but the breathtaking landscape beauty of Dal Lake unbeatable in all way. However, the taste of Keralan food was merely the best than Kashmiri food. You’ll find many varieties in Keralan food even in a budget houseboat. Moreover, the food is not only delicious but also healthy, not oily and salty. Kerala backwaters tour became too popular among tourists, and so they became too demanding and asked a high price, and the quality not always maintained. However, in Jammu and Kashmir tourists are less due to the political unrest. 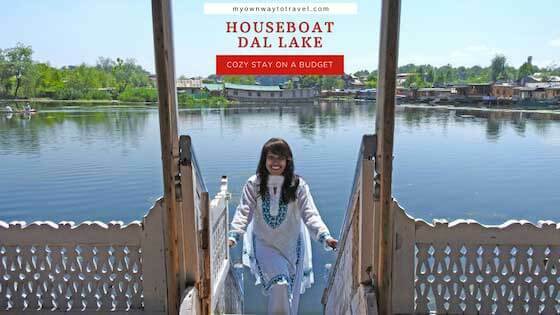 You can still enjoy a budget-friendly stay in any houseboat or cruising around on the Dal Lake. Disclaimer: My Shamus Maqbool Houseboat review based on my two nights stay here. Every opinion is entirely my own. Have you stayed in any houseboat? 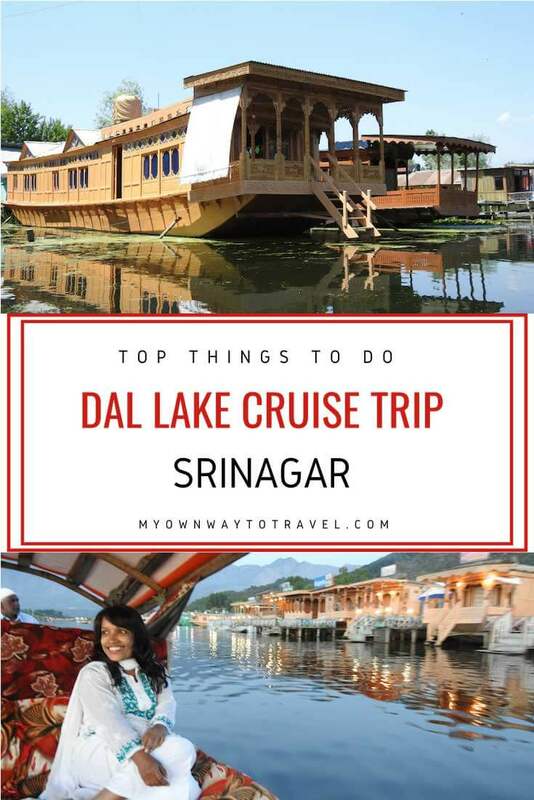 Share your top things to do in Srinagar on Dal Lake. Wow the house boat looks amazing! Thanks for sharing will definitely add this to my travel list! Yes, a way to take one unique experience for sure! Seems like such a cool experience. I honestly didn’t even know houseboats existed. The only thing i had in mind were cruise ships… They are even decorated so beautifully! Houseboats exist in many countries in the world. Yes, very cool experience. Loved my stay and time there. I have always wanted to stay in an unusual place. A houseboat would certainly meet that for me. It is great that you got a place to stay. Especially good that there is a small boat available for transportation. And that you got to cruise around Dal Lake. The space inside the houseboat looks so much bigger than I expected. Truly unusual place loved it. And there is Kashmiri shikara boat as well for cruising around Dal Lake. I was also surprised to see so much space inside the houseboat. The inside looks completely different to what I would have expected! I’ve never spent the night on a boat, it must be a great experience to wake up with such a beautiful view over the lake. That looks really fun, although was it hard to be back on land again? Also, I live in Canada, and now I’m wondering if I could travel by houseboat in Canada. You’re right Samantha it was hard to be back on land 🙂 I wish you visit Asia and explore one by yourself.